Discussion in 'Modding and Hacking - Consoles and Electronics' started by airs, Feb 6, 2015. Did anyone ever figure out 240p on the combined encoder on late FZ-10 systems? I don't think so based on what I'm seeing. 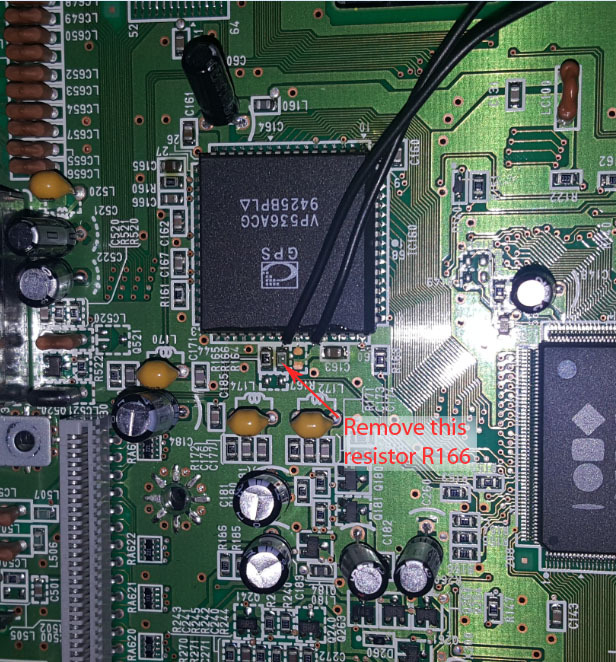 There is no clear pin which controls progressive scan, or RGB pins for that matter. We would need the datasheet for the ANVIL encoder to find out if there's any software bits that can be set to control the output. From what I could find, 3DO teamed up with ARM to develop all-in-1 chips. From this, Anvil was developed. ARM may have the datasheet somewhere. Early FZ-1 (BT9101), FZ-10 or Goldstar GDO202 (Alive II) with Anvil can't be modded. I check in to 3doplanet.ru from time to time, those guys know their stuff. Mnemo is a mod there, who created the 3DO usb controller. There is no in depth info on the Anvil that I can find. I've searched the Internet but no luck. If u want RGB and 240p, change the FZ-10 for an early FZ-10 or Goldstar. Some FZ-1 can also do 240p. Fair enough, I am invested on the install of his kit on the FZ-10. Bummer that I didn't luck out there. Does there have to be another wire from ground to pin 52? Unfortunately it seems the two people who did this pin lifting are MIA, and RetroRGB never updated the instructions. Thanks! Thanks to Taijigamer2 we figured it out. Removed the R166 resistor and now it boots and switches games, etc. in 240p mode! Taijigamer2 and Oakleaf like this.